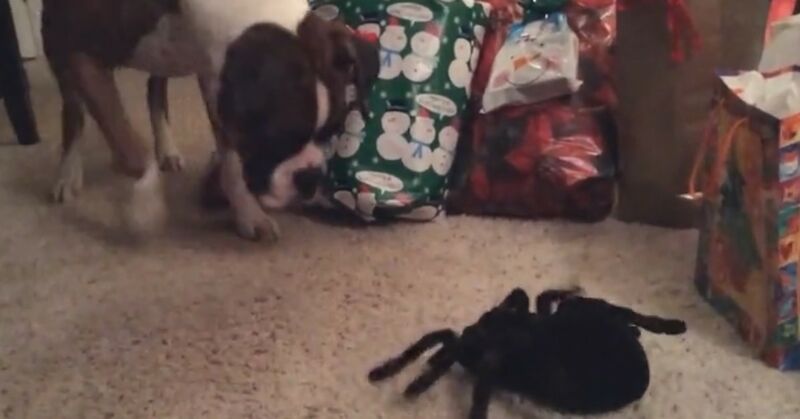 This boxer thinks that the toy spider will play with him. We want to know why a toy spider? !